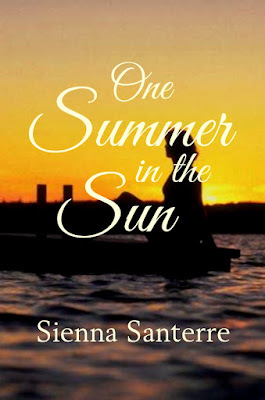 This is a 'dummy' of a possible cover for my upcoming novel, 'One Summer in the Sun.' The title is also subject to change! It was created by my editor and publisher, Stephen Brooke. 'One Summer' is set in the summer of 1968 in the Gulf Coast Florida town of Naples. We will be finished with the writing and editing pretty much when we are finished! Maybe this year, maybe in 2020. But at least Stephen and Arachis Press had enough faith in me to make up this tentative cover. I created this blog and then neglected it! But Spring is waking up outside --- can you blame me? :) I have popped in to mention that I now have an account at Wattpad: https://www.wattpad.com/user/siennasanterre It is likely that I shall put up chapters of the novel in progress there. I'll be reading too. There is a great deal to read there and most of it is not very good. Some, though, is worth the effort of hunting it down. Hi, this is a blog/site for author Sienna Santerre. It is being maintained by her publisher, Arachis Press (primarily, to protect her privacy), but Sienna will be posting here. Don't get confused if it says 'Stephen Brooke.' More to come!